The Hoyo de Monterrey Hoyo Du Dauphin, discontinued since 2003, is a smooth Panetela, 6" (152mm) long, of 38 ring gauge, and comes in a 25 cigars box. 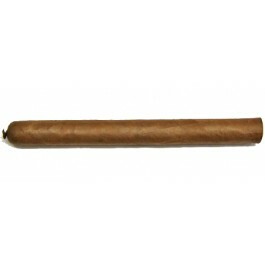 A cigar with great potential, it opens the market for slim cigars. A sleek and elegant Havana with an excellent finish and high quality of build. An exception in the Hoyo register: this Laguito No.2 size cigar is more agressive than the average Hoyos. The Hoyo du Dauphin is a discontinued cigar to the benefit of the Cohiba Coronas especiales.